When you add a new friend on Facebook one of the following updates: “_is now friends with_”, “_became friends with_” or “_ and _ are now friends” will appear on your profile (timeline) and in the activity sidebar (news feed) of your friends. If you don't want others to see this new friend notification (status), then you can disable and hide it and this tutorial will show you step by step how to do this on a computer and on an Android phone. 4. Click on the ▼ (triangle) icon located at the top right and choose Activity Log. 5. In the left sidebar, you go to Photos, Likes, and Comments section and click on MORE. 6. Click on Added Friends. icon at the top right and uncheck New Friend Reports. 8. Click on Okay to save the setting. The Facebook application on Android and the Facebook mobile website don't have the option to hide the _is now friends with_, _became friends with_ or _ and _ are now friends notifications, but there's still a little trick to do this by using a setting in Google Chrome on Android. 1. 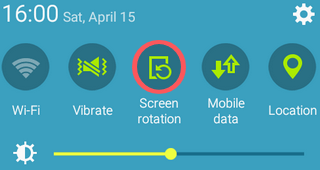 Turn on Screen rotation on your Android smartphone, but you don't need to rotate your phone yet. 3. 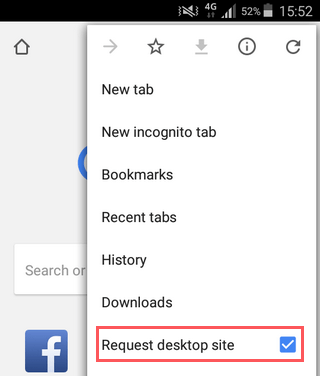 Tap on the Google Chrome menu button. 4. Check Request desktop site. 6. Log into your account (if you're not logged in already). 7. Go to the address bar and change the m in the web address to web and tap on Go (keyboard/keypad). Example: https://m.facebook.com becomes https://web.facebook.com. 8. Rotate your smartphone, so that your screen will also be rotated. Note: You might need to zoom in and scroll a little bit, to be able to easily find and tap the buttons and links. 9. Tap on the ▼ (triangle) icon located at the top right and choose Activity Log. 10. In the left sidebar, you go to Photos, Likes, and Comments section and tap on MORE. Note: You might need to wait a little bit longer for these items to appear. 11. Tap on Added Friends. 13. Tap on Okay to save the setting.